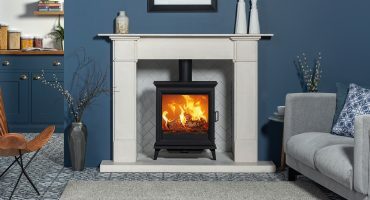 Vogue wood burning and multi-fuel stoves are designed around three core principles: magnificent flame visuals, ultra-clean burning that is suitable for towns and cities, and easy to use controls. Combining timeless design with the very latest combustion technology, the Stovax Vogue wood burning and multi-fuel range presents the modern answer to heating your home with wood. Designed around an expansive viewing window, Vogue wood burning and multi-fuel stoves offer striking, uninterrupted flame visuals thanks to the powerful Airwash system that blasts air down the inside of the glass panel to keep it clean. 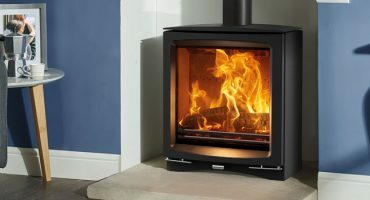 An advanced triple airflow system feeds the flames to ensure the fuel burns cleanly and efficiently, getting the most out of each log and minimising smoke emissions. Approved for smoke control areas in towns and cities, Vogue stoves are also Ecodesign compliant, meaning they meet tough, air quality standards of the future. Flames and heat are easily adjustable thanks to the single air control on the front of the stove, allowing you to easily increase or decrease the heat output. Simply push or pull the air control to select the stove’s heat settings. The Vogue stove range offers a variety of styling options whether you choose small, Midi or Medium sizes or even portrait T models. Each stove can be mounted on a matching plinth base to provide additional height. Alternatively, the optional Midline log store elevates the stove making it easier to see. This matching stand also provides a stylish and convenient place to store logs. For a completely different but equally contemporary look, Vogue stoves can also be mounted on one of our many Stove Benches. Designed with installation versatility in mind, Vogue stoves can be installed with a top or rear flue and can be fitted into either an existing fireplace or with our tried and tested Professional XQ flue system if your home does not have a chimney. To minimise internal draughts, which happen when any fire or stove draws its combustion air from the surrounding room, Vogue models can be installed with an external air supply. This ensures that combustion air comes from the outside your home for a completely sealed appliance that potentially negates the need for an additional air vent. 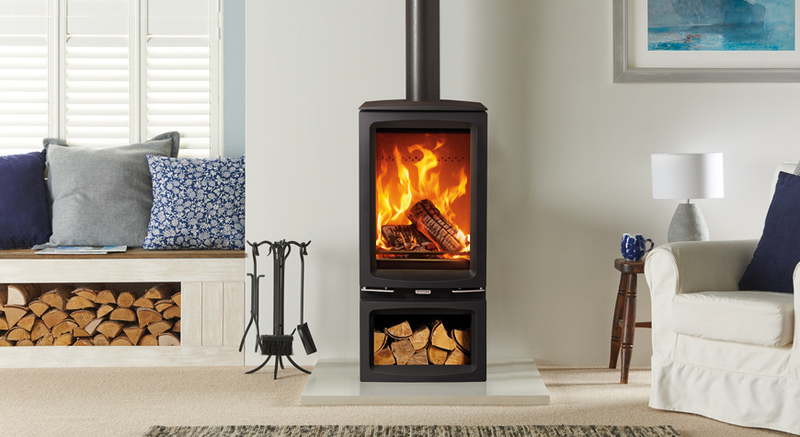 To experience the stunning flames and eye-catching aesthetics of the Vogue wood burning and multi-fuel stove range, visit your local showroom. Hi, I have an internal heat recovery ventilation system in my home. Does the external air system in the vogue models ensure no air is taken by the stove within room itself? 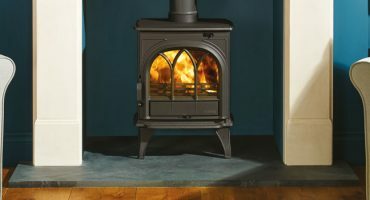 Also is the Midi T Highline the same as the other Vogue stoves with just a higher base or does it have separate features ? Solid fuel stoves still take a percentage of air from the room, even with an external air kit fitted. This means that recovery ventilation systems can still effect the flue draw, especially during refuelling. Hetas allow a percentage of air to be taken from the room with an external air kit fitted to allow solid fuel stoves to be permissible for installation in passive homes. For more information, speak to your local retailer.